We are delighted to be showing a second film by Alfredo Jaar following our screenings of his 2006 film Muxima. Over three days, his short film Introduction to a Distant World will be installed in our upstairs space as part of There’s Talk of Gold: screenings over three days. 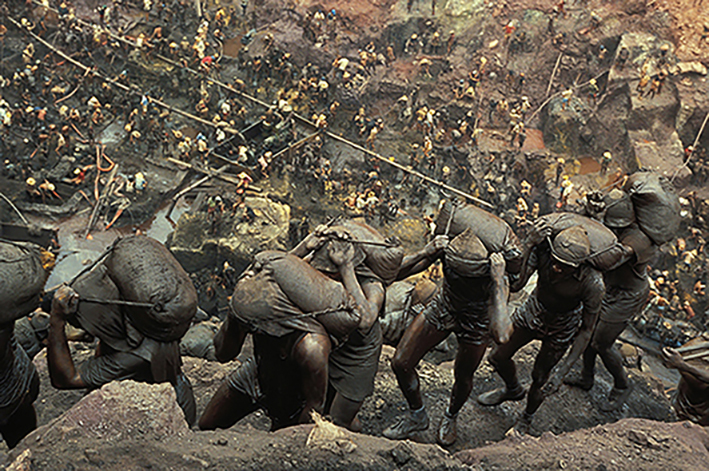 Shot in Serra Pelada, in an opencast mine dug by hand in a remote part of northeastern Brazil, Alfredo Jaar’s 10 minute lm gives a brief but powerful insight into the hazardous conditions of the mine and the arduous labour undertaken by the 80,000 prospectors who left their homes and families to look for gold. 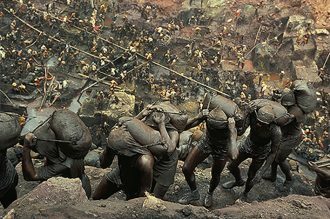 Jaar documented the miners over a few weeks and produced an extensive body of work that offered a graphic representation of their toils, whilst acknowledging their dignity.